Empanadas are a meat or vegetable filling (or even chocolate or fruit) wrapped in pastry or bread dough. You can find some variation of empanadas almost anywhere with the ingredients adjusted according to the country. This recipe is the Portuguese empanadas. 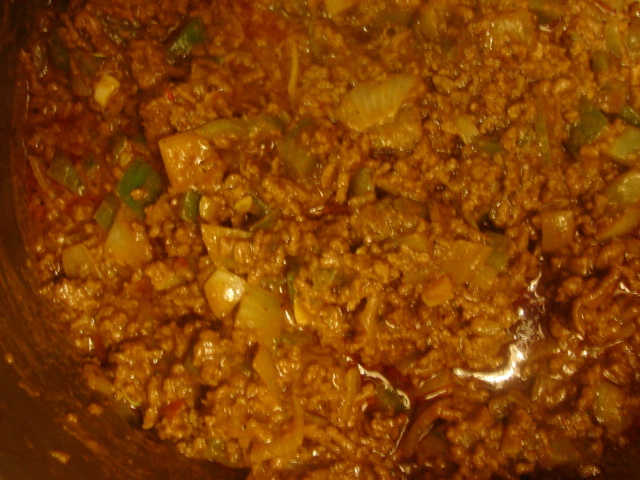 It is made with ground beef, onions,peppers, paprika, cumin and cocoa thus connecting it to its province of origin, San Juan and San Luis. Empanadas’ are the go to food for the working folk as they are easily eaten out of hand and travel well much like the American sandwich (only better). Here in Baltimore we make them occasionally because we love them. They are a little labor intensive to make everyday so it’s a special when we have them. 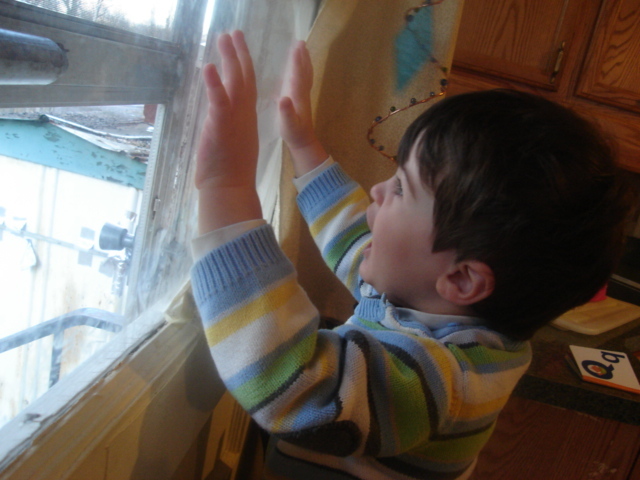 Even little boy Hoo eats his share, jalapeno peppers and all. 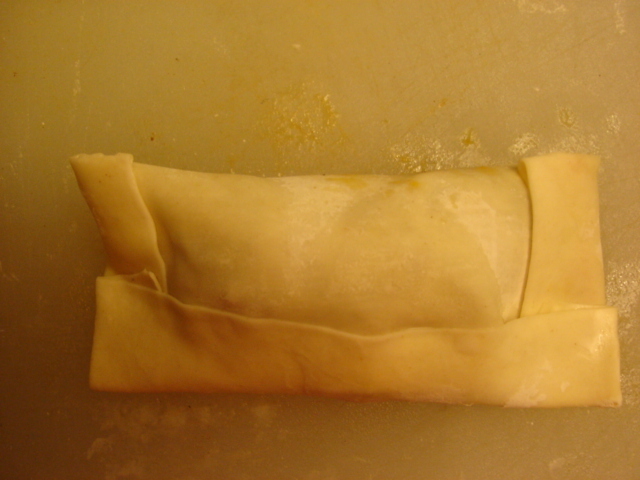 I use eggroll wrappers and fry them, but pizza dough works fine as well. 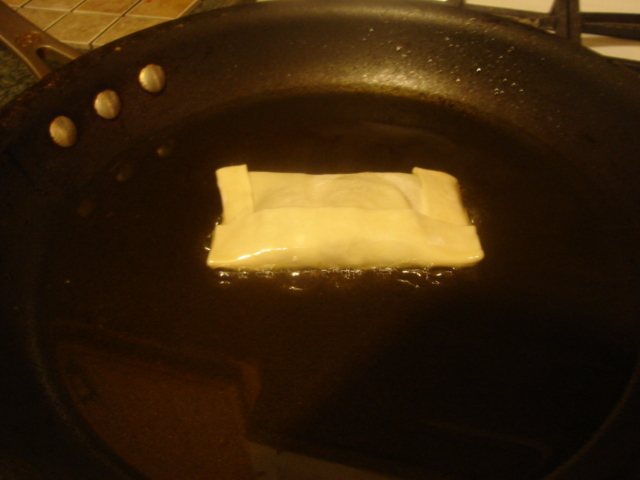 375 F oven for 20 minutes or until golden. 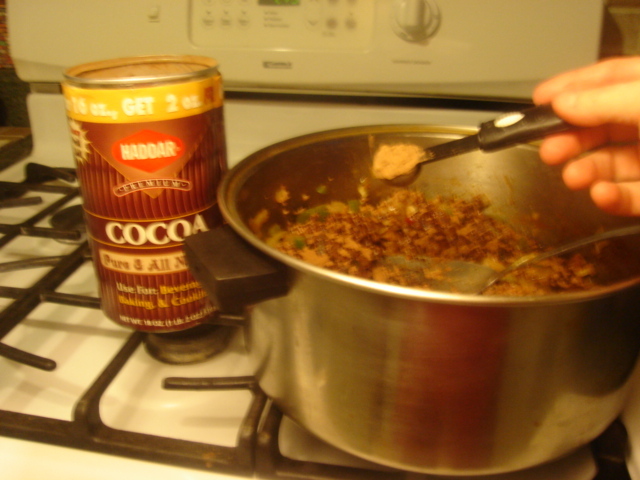 So from gmom’s house to yours here is your international recipe for your X-mas party hor d’oeuvre. 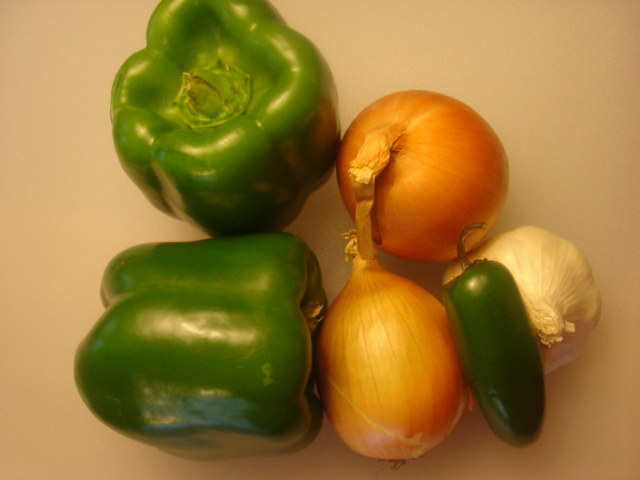 Saute the onion, peppers and garlic for 5 minutes. -2 pounds of ground beef and continue cooking until beef is no longer pink. 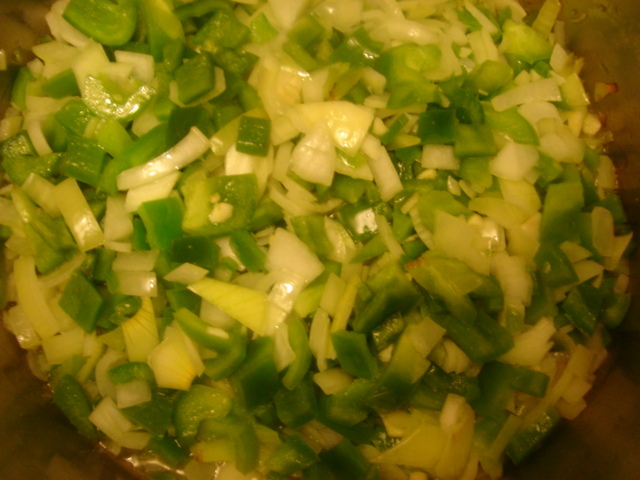 Mix thoroughly in to the meat and peppers and cook another 5 minutes. 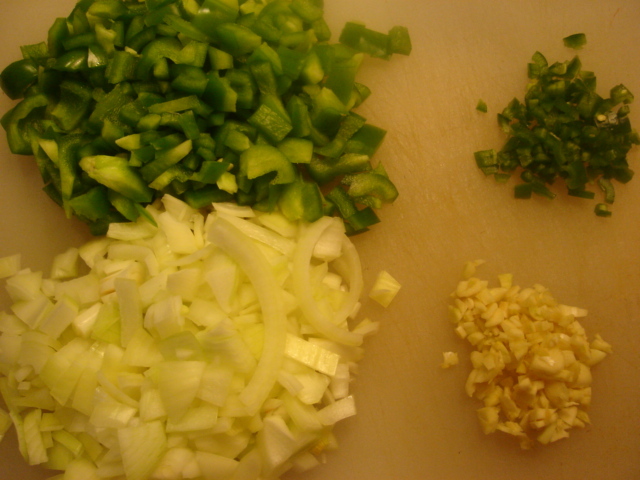 Put a large skillet with a few tablespoons of oil on a medium heat. 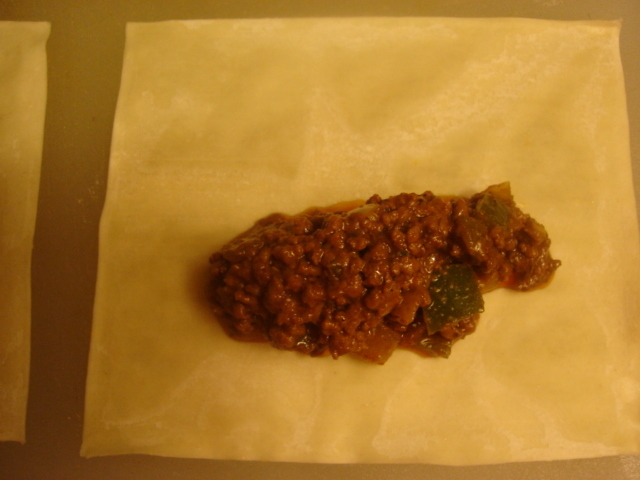 Lay out your eggroll wrappers. 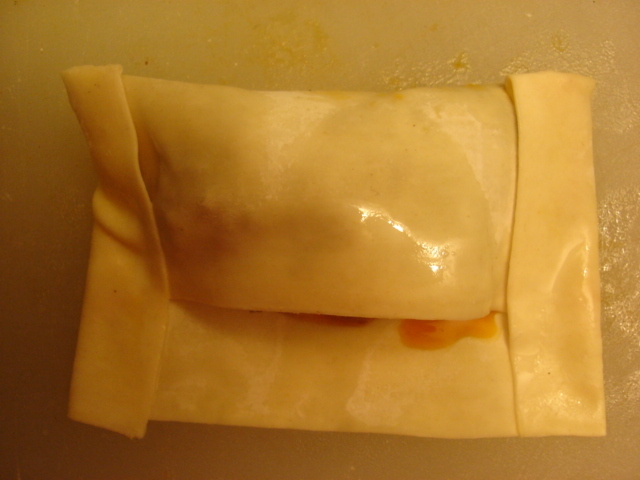 Put a large dollop of filling in the center of the wrapper. 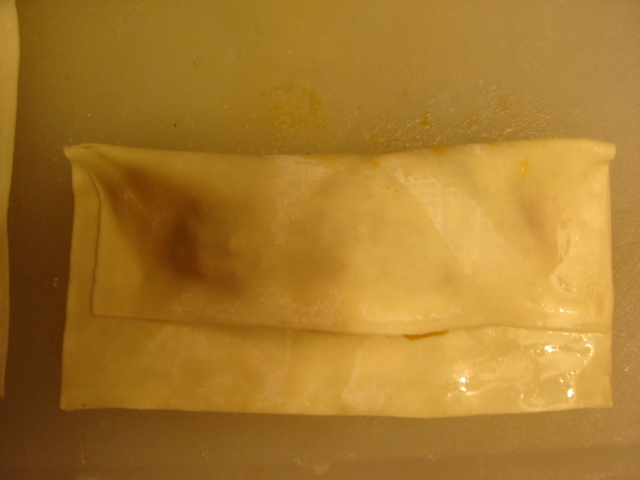 Moisten the edges as you seal the wrapper around the filling. Put several empanadas in to the hot skillet to fry. 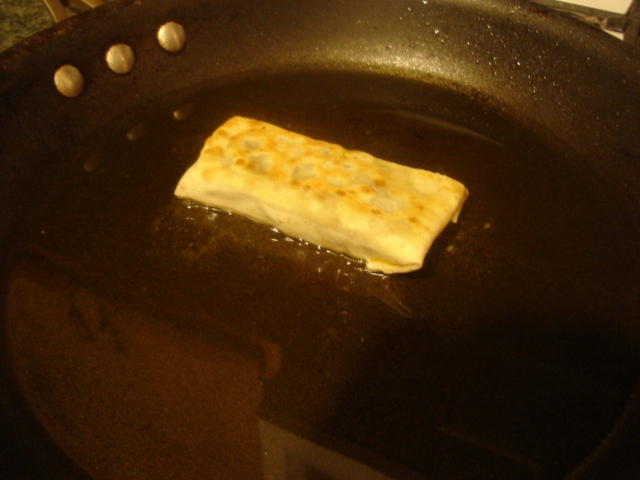 After a minute turn to fry the other side. 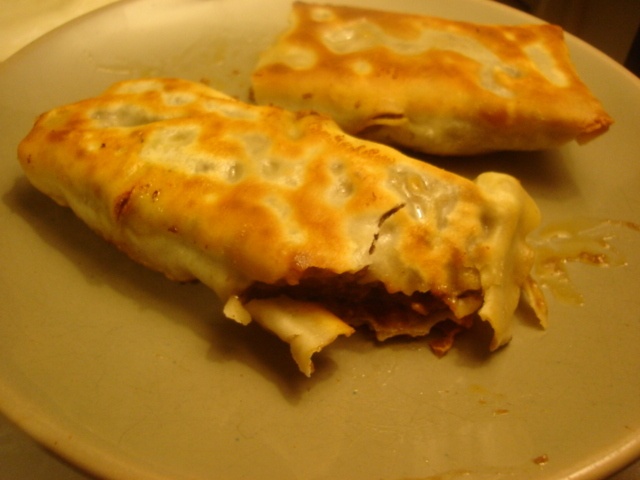 Eggroll wrappers brown and crisp quickly. Enjoy your delicious empanadas as hor d’oeuvres for a party or as a first course for a special international touch. Happy holidays from gmom and family to you!